Elegant and subtle design, crafted from 18/10 stainless steel. Each piece is balanced for use. 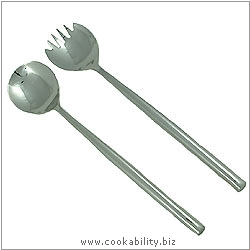 A pair of salad servers.